Schoolboy Q has had a busy Spring. The Top Dawg Entertainment rapper appeared on A$AP Ferg’s excellent Always Strive And Prosper, dropped the menacing single and video “Groovy Tony,” and just yesterday dropped yet another single, “THat Part,” with Kanye West. 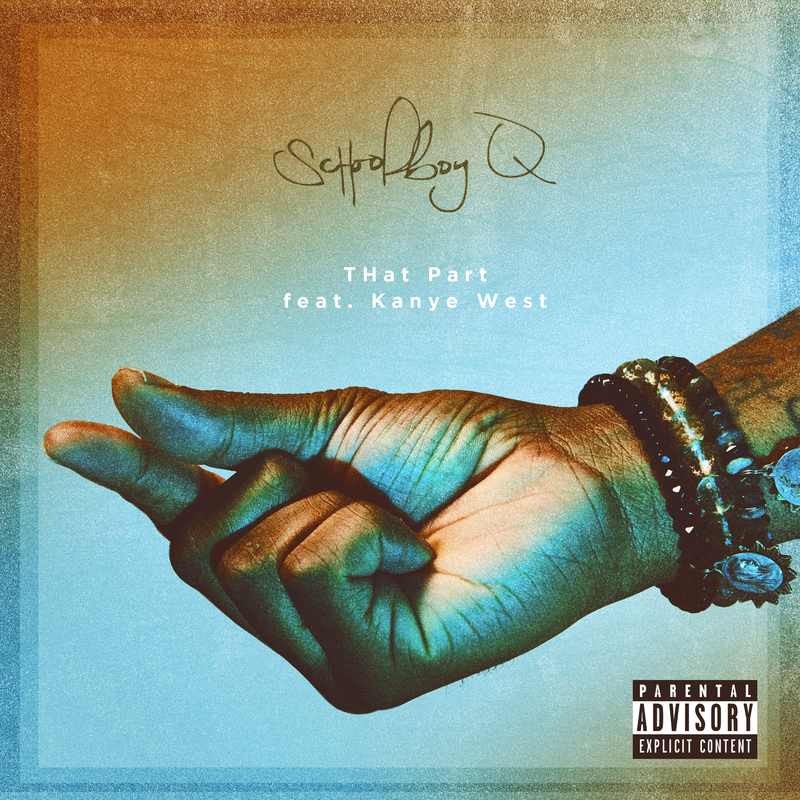 “THat Part” finds Q and Kanye rapping over a slow, eerie beat. Kanye’s verse is especially notable, as he invokes recently retired Los Angeles Laker Kobe Bryant a number of times and compares his wife to O.J. Simpson. For those who don’t know or haven’t seen The People v. O.J. Simpson, Kim’s late father Robert Kardashian was O.J’s defense attorney. You can stream the track below via Spotify. With the recent release of two singles, it’s reasonable to speculate that news on Schoolboy Q’s follow-up to 2014’s Oxymoron might be coming soon. In the meantime, let us know what you think of Q’s most recent effort in the comments.